For your next holiday, birthday or simply just because – come and try out our new Blizzard menu and ice cream at Dairy Queen Brampton. 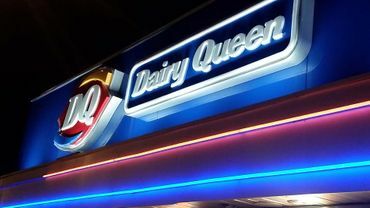 Find out more about our daily specials at Dairy Queen Brampton. Visit us. Based in our original location, serving ice cream in Brampton since 1960 has been a real treat. Visit our location today to try one of our daily specials or find a new favorite cold treat. From ice cream cakes to shakes to a Frosty Orange Julius® - treat yourself or your family today to something delightful. For your next holiday, birthday or simply just because, try one of our ice cream cakes! We offer a range of flavor combinations that are sure to be right for your occasion. Let us customize your ice cream cake with a design of your choice. 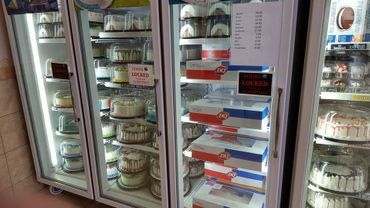 Stop by or call us today to order a cake from your Dairy Queen. Learn more about our history in Brampton. Check out our nutrition information.